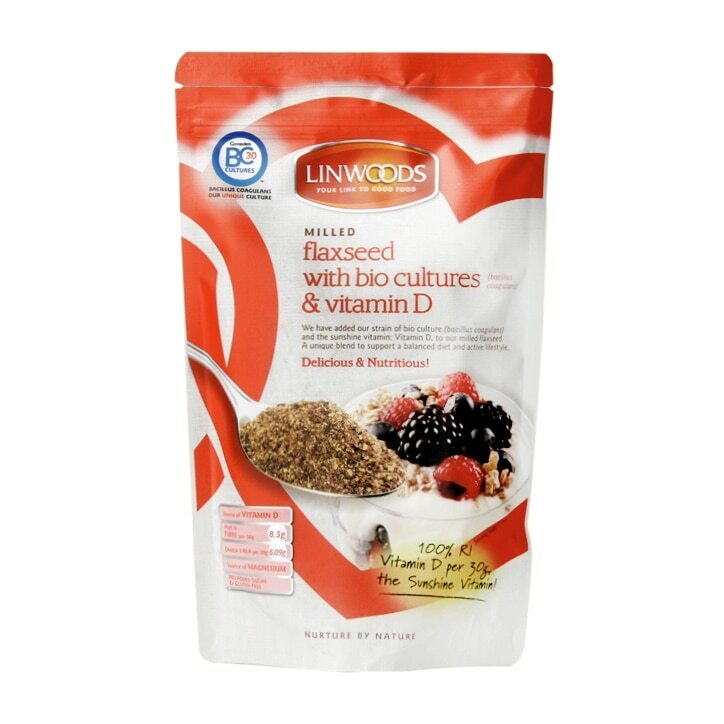 Linwoods Milled Flaxseed with Biocultures & Vitamin D is rated 4.7 out of 5 by 24. Rated 5 out of 5 by TezMC from Good supplement I started using this supplement a week ago. I bought it for daily D vitamin and Magnesium supplementation, plus Omega 3 due to flaxseeds and small amount of calcium. It is a good balance and combination for me. I use it with my cereal and find it delicious. It is not sweet, so I add banana or honey, but it can be used in salads too. Rated 5 out of 5 by DrAJP from Lovely for breakfast! I have this with non-dairy yoghurt and blueberries for breakfast. Whilst not the prettiest of dishes, I love it!